You know how your mother always told you to travel with a distinctive bag, so you can tell it apart from everyone else’s luggage? Ok, maybe that was just my mother…but either way, it’s good advice. 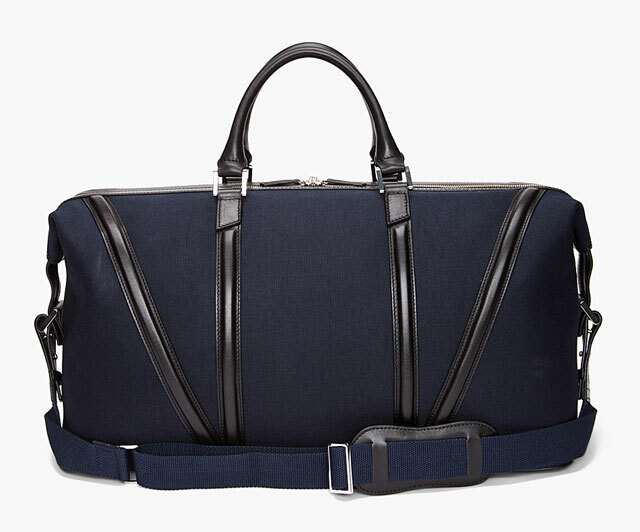 The Deurne Bag from Want Les Essentiels De La Vie would do my mother proud – the navy canvas with black leather trim is definitely distinctive, and definitely stylish.